Over the years, I’ve often written about many groups groups who were innovators within their chosen genre. This includes King Tubby, Kraftwerk, The Orb and Primal Scream. Each of theses groups have produced albums that have been influential in various ways. King Tubby pioneered dub reggae. Krafwerk were one of this first groups to use electronic instruments and computers in music.The Orb were pioneers in their use of samples within music. Primal Scream fused rock and dance to produce their masterpiece Screamadlica. Portishead were also innovators and pioneers who popularised trip hop. They released a trio of albums including Dummy, which was recently rereleased by Island Records on vinyl twenty years after its initial released. 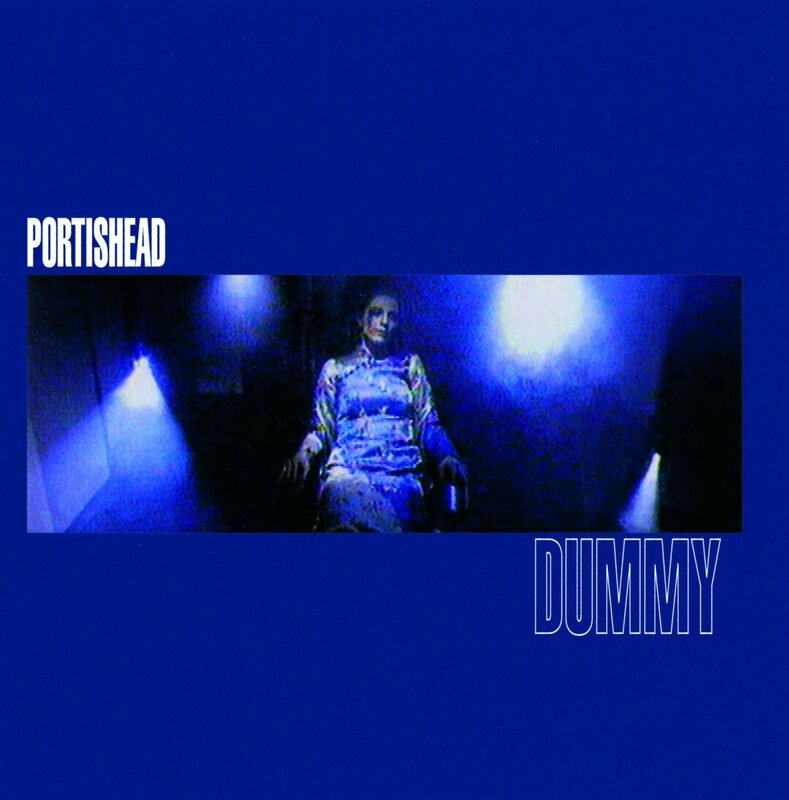 Dummy was Portishead’s 1994 debut album, which is now perceived as a trip hop classic. Portishead are an English band from Bristol. They were formed in 1991 and are named after the nearby town of Portishead. Since 1991, Portishead have only released three albums. These are Dummy in 1994, Portishead in 1997 and Third in 1998. Portishead consist of three members, Geoff Barrow, Beth Gibbons and Adrian Utley. Sometimes, Dave McDonald who was the engineer on their debut album Dummy, is referred to as the fourth member of Portishead. When it was released in 1994, this album was widely acclaimed by music critics and as an innovative and pioneering album. Portishead mixed together elements of psychedelic and and experimental music, which together, became known as trip-hop. At that time, the music scene was in Bristol was thriving. The Bristol Sound was at his peak, with groups such as Massive Attack, Portishead, Tricky and the Wild Bunch Soundsystem providing the city’s soundtrack. Another thriving scene in the city, was the graffiti art scene. Graffiti artists such as Banksy, were contributing a colorful backdrop to Bristol’s landscape, much to the chagrin of Bristol’s denizens. During the early 1990s, the city of Bristol was exposed to a huge variety of musical styles. These musical influences, all helped to spawn the genre that became known trip hop. Throughout the city, it was a musical melting pot, people were listening to hip hop, dub reggae, acid jazz, techno, disco and psychedelic music. Being exposed to such a huge variety of different music styles, groups such as Portishead, were bound to use these influences in the music they were producing. When we look back at Portishead, the group’s various talents complimented each other perfectly. Each brought their own unique talent to the group. Beth Gibbons was the vocalist, and without her delicate, and almost sullen, or sulky, vocals on the tracks, their music would not have same impact. The other two members, Geoff Barrow and Adrian Utley were renowned sonic manipulators, who had the ability to take a sound or sample and transform it totally into something unimaginable. One of the biggest influences on Portishead, at the time they were making Dummy, was 1960s and 1970s film soundtracks. The music on these albums are said to be there primary musical influence. When one listens to Dummy carefully, these influences are apparent. For example one track features a sample of Lalo Schifrin’s The Danube Incident, Eric Burdon and War’s Margic Mountain, Isaac Hayes Ike’s Rap III and the Smokey Brookes’ track Spin It Jig. Having told you about Portishead, and the musical environment that spawned Dummy, I will now tell you about the album. Dummy features ten tracks written by Portishead. Opening Dummy is Myterons. Mysterons starts with various samples and scratches. One of the samples has an eeriness to it, this is magnified by the various scratches. Next Beth Gibbons vocal takes centre-stage in the track. She has the perfect voice for the track. There is a moodiness and sense of mystery in her voice, and Adrian Utley and Geoff Barrow show their mastery of sonic manipulation by using a multitude of samples, scratches and drumbeats to accompany, and highlight the vocal track. This is a good track to start the album. It has a moody and atmospheric feel to it, but at the same time, provides a showcase for Beth Gibbons vocal ablilities. Sour Times starts with the use of a sample from Lalo Schifrin’s, The Danube Incident. The track brings to mind Cold-War spy thrillers and secret assignations between rival agents in the shadow of the Berlin Wall. This track also features a sample of Smokey Brookes’ track Spin It Jig. These samples are the building blocks for the track. Portishead use other instruments and samples within the track. Both a Rhodes keyboard and Hammond organ feature on the track as well as guitar. The highlight of the track is Beth Gibbons’s vocal. Her voice perfectly suits the Lalo Schifrin’s, sample and blends in well with it. This track demonstrates how samples, instruments and vocals can be blended together to produce something totally different to the component parts. I am sure Lalo Schifrin never envisaged a piece of his work being used so effectively in this way, to produce something quite different and compelling. Strangers starts with a shrill sound, and then various samples and scratches. When you first hear the start of the track you wince somewhat. It does not have the most promising start. However, if you give the track time, it opens up, and begins to show promise. Not only does, the song improve, but you’re drawn into it. The song maybe lacks the quality of the first two tracks, but features some interesting aspects. Beth Gibbons vocal, as i the previous tracks is good, and the samples used are interesting. I found myself listening carefully, trying to identify one the samples, and suddenly realized that they had sampled an old Weather Report track, Elegant People. Portishead were innovators when they produced this album, and their manipulation of sounds, samples and scratches works well. It Could Be Sweet sees a return to form for Portishead. This is a much better track than Strangers. The sound is much more subdued. Beth Gibbons’ voice is given the opportunity to shine. Her voice sits at the front of the track, and the drum beats and Fender Rhodes sit behind the vocal. The arrangement on this track has a minimalist sound to it. Here, this works perfectly. This arrangement has made It Could Be Sweet is one of the Dummy’s highlights. Wandering Start starts with a dull repetitive sound, and then Gibbons’ vocal joins the song. She is accompanied by various drum beats, samples and scratches. These are almost like an alternative twenty-first century orchestra. Adrian Utley and Geoff Barrow have used these extremely effectively to build a track that has an atmospheric and almost sinister quality to it. With this track, you concentrate on everything that is happening in the song, you find yourself trying to second guess what will happen next. Sometimes your guess is correct, other times you are way of the mark during this mini-masterpiece. Incidentally, for sample spotters wondering what the sample is, it’s Eric Burdon and War’s, Magic Mountain. Numb features a glorious multitude of instruments, samples, scratches and almost other-worldly sounds. To accompany this varied sonic palette is Beth Gibbons voice. Her vocal is stunning. She has reserved one of her finest vocal performances for Numb. Her voice accompanies, and is complimented by, the the cornucopia of sounds that have been used within this track. This track shows what can be done with a just Hammond organ, bass, drum beats and a lot of imagination. Roads begins with a dark and brooding sound, and then opens up to feature a vocal by Beth Gibbons that sounds like not unlike Liz Fraser of the Cocteau Twins. The track then features a wider array of instruments than on any other track on the album. The tempo is almost pedestrian in places, and this brings out the track’s beauty. On this track there is a fantastic arrangement of strings. This, the vocal and the dark brooding sound, that repeats throughout the track contribute towards producing one of the standout tracks on Dummy. Pedestal begins with a multitude of samples and scratches, and a vocal that sounds subdued. The samples and scratches in combination with the muted vocal, provide an atmospheric track, that draws its inspiration from early hip hop tracks. Andy Hague provides a masterful trumpet solo that adds a different dimension to the track. His trumpet solo adds a variety to the arrangement. Without it, the atmospheric Pedestal might sound as if it lacks something. .
Biscuit is another track where you find yourself trying to identify the sample used in the track. This time the sample is from an old Johnnie Ray track, I’ll Never Fall In Love Again. It’s a track that could divide opinion. For some, it’s the weakest track on the album. There’s too much happening in this track. Portishead have used too many samples, scratches and surreal sounds. This does not help the track. Quite the opposite, it detracts from the track. At the start of the track, a variety of samples are used. Thereafter, a wide variety of strange and otherworldly sounds feature. Even Beth Gibbons’ vocal can’t even rescue the track, and maybe Portishead should have heeded the maxim less is more. If they had used fewer samples, sounds and scratches this track may have been a better one. The final track on Dummy is Glory Box. This track begins with a sample of an Isaac Hayes track Ike’s Rap III, which is used throughout the track. On this track, the sample works, even the scratchy sound! In some ways, it adds to the effectiveness of the sample. Beth sings the vocal well, and uses her vocal range well. The guitar solo is well placed in the track, it does not overpower the vocal, and highlights the quality of the vocal and also, the track. The track features waves of sound. They rise to a crescendo, and fall, quite suddenly. A good example is Beth’s vocal towards the end of the track. This results in a the perfect end to a trip hop classic. That is the story of Portishead, and their debut album Dummy. I have always been impressed that Portishead were able to produce such a good first album. They used the technology that was available to them at the time, well. At that time, technology was nowhere near as advanced as it is now. So what Portishead were able to achieve is a considerable achievement. The resulting music, is a fusion of traditional instruments such as, guitar, bass and drums, and the newer technology including samplers, samples and scratches. Added to that, Beth Gibbons glorious and ethereal vocal, and of course, a lot of creativity and imagination. What all of that has combined to produce is an album that led the way, and help launch a new genre of music, trip hop. Looking back with the benefit of hindsight, Dummy is a trip hop classic. Considering this was Portishead’s debut album, this is quite an achievement. That’s why, if you have never heard of Portishead, or their album Dummy, I can strongly recommend that you consider buying this album. Should you do so, you will not be disappointed. Dummy is an album that you will return to time and time again. Each time you do so, you will hear sounds, subtleties and nuances that you have never have hear before. In many ways, each time you listen to this album, is like hearing a different album, as you will hear and focus on, different aspects of the mesmeric, magical and moody music on Dummy. ← FRANK SINATRA-IN THE WEE SMALL HOURS OF THE MORNING AND SONGS FOR SWINGIN’ LOVERS.